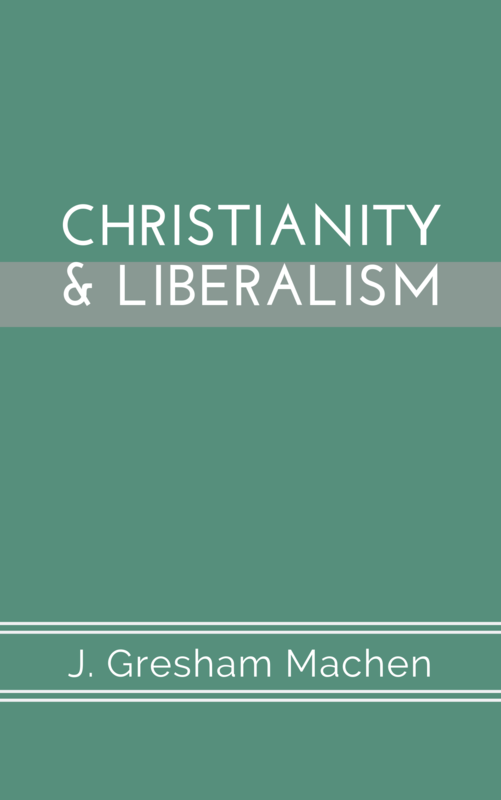 At the turn of the twentieth century, theological liberalism had overtaken much of the institutions and theological centers in Europe. In the United States, the same trend was quickly taking place. 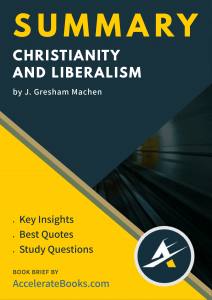 First published in 1923, Machen’s Christianity and Liberalism was a work that sought to clearly mark the differences between what orthodox Christianity had historically confessed and what Machen saw as an entirely new religion. This short book drew the dividing lines clearly in the sand for all to see. Many Christians had been ignorant or unwilling to point out the growing threat Liberalism was to the Christian faith. Christianity and Liberalism exposed to the greater Christian community what Liberalism actually taught and why it mattered so much. The heirs of the same theological Liberalism Machen spoke about are advancing the same errors. Christianity and Liberalism is a wonderful tool for the orthodox Christian to use to combat those errors. J Gresham Machen was born into a family of wealth. He was classically educated and attended some of the best schools in the world. He studied in Germany for his doctorate and encountered the German liberalism while there. Machen served in a voluntary position during WWI and returned to Princeton Theological Seminary as a professor of New Testament. During his time at Princeton, Machen opposed the advance of liberalism and made many enemies. He founded Westminster Theological Seminary in 1929 in response to the liberal reorganization of PTS and the Orthodox Presbyterian Church in 1935 when he was defrocked by liberals.